We offer beautiful container gardens in deck boxes, from mid-May to late October. The deck box fits on a 4" or 6" railing, or can sit flat with a tray that acts as a water reservoir to get through hot spells. Each deck box is lovingly planted for you by our wonderful team of nursery professionals. An instant garden that saves time and space, for you or a loved one. Buy a deck box for $35, then when you are ready, exchange it for only $20 with a $15 refund for the container. 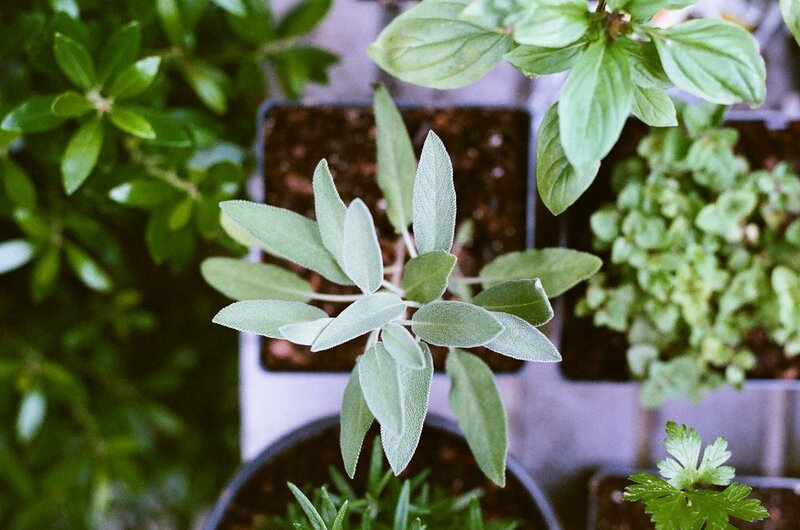 Keep your patio garden green all summer! New varieties of herbs, veggies, and flowers as season progresses!